Relax! Such nightmares are banished by a restaurant, which in a little over a year, has earned a reputation as ‘one of the best destinations for modern, Indian dining in the U.K.’ Nestled among picturesque Georgian buildings in Edinburgh’s West End, and close to Haymarket rail station, stands Navadhanya (Scotland) – Art of Modern Indian Dining. It is a second such creation of two Cambridge brothers and a first venture north of Hadrian’s Wall. 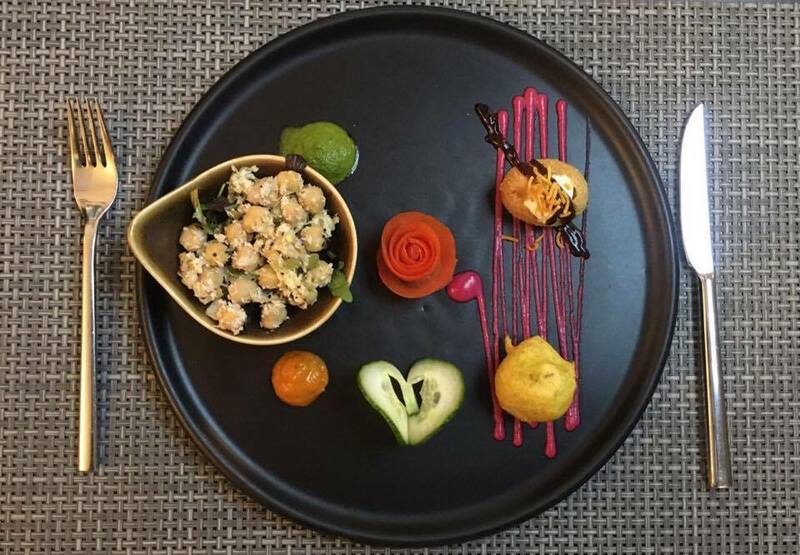 Both restaurants combine Indian heritage and cuisine with best of British ingredients creating a unique, innovative experience. 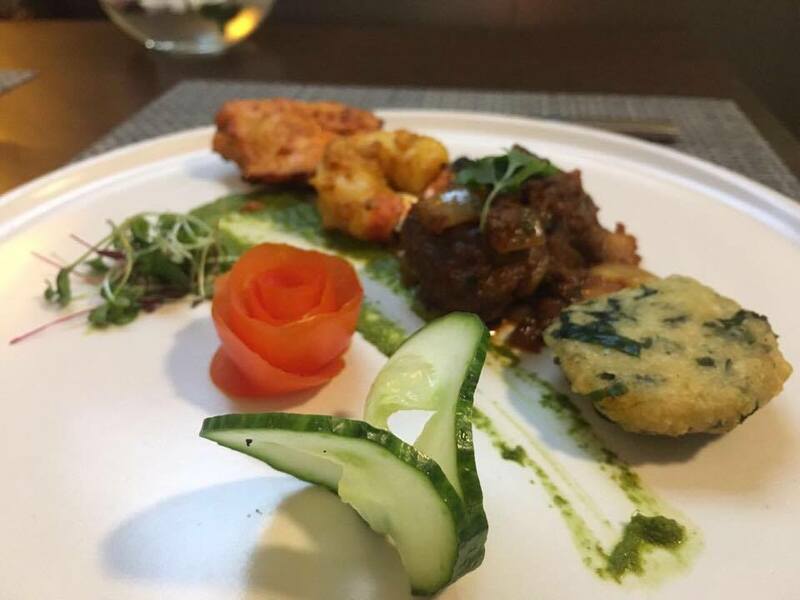 This approach permits Navadhanya to deliver a “refreshing twist” while retaining authentic, regional, Indian flavours – and a culinary journey which transports patrons the length and breadth of the subcontinent. Speaking to Navadhanya’s manager, Madan Gosain , explains: “We offer the opportunity of experiencing something different to what is already on offer in the Capital city of Edinburgh. Our tasting menus and wine pairing options are prepared by our Michelin trained Chefs at competitive prices and are bursting with an aria of delicious spices, textures and flavours”. Navadhanya’s customer focused service extends beyond the restaurant; as demonstrated by their experience in managing catering requirements for both corporate and private sectors. Mr Gosain advises “We are committed to delivering a high level of customer service – and this does not stop within our four walls. Our customers can rely on us to deliver fine dining direct to them when they need us – for all their external catering needs – whether this is for corporate events, boardroom hospitality and private functions. We provide this service across the Edinburgh and nearby regions”. With highly trained hospitality staff reflecting the standards of service in which Navadhanya is renowned; it can only be expected that one will leave being able to think well, love well and sleep well.